Steve Howat, General Manager – Technical Services, Continental Tyres UK & Ireland discusses the technology behind Continental’s premium tyres and their key benefits over budget alternatives. By far the greatest advantage of premium tyres over budget alternatives is their ability to achieve the lowest overall driving cost for fleet operators. Starting with the new tyre purchase, Continental Tyres assess the customer’s specific requirements to maximise the mileage performance of their tyres and other areas such as fuel consumption. As 40% of operators’ overall driving costs are down to fuel, improvements to fuel economy is a crucial advantage of premium tyres. Mileage performance is influenced by many factors outside our control, including vehicle size and weight, static and dynamic weight distribution, the force between the tyre and the pavement, and pressure distribution. Road surface and temperature also play a part, and finally the tyre itself. It is this final factor – the tyre – that we can control. Although budget tyres may be attractive at first glance due to their lower price point, premium tyres offer far better performance in the long run. Budget tyres may offer only half of the mileage a premium tyre is capable of. Key factors of premium tyres include a stronger construction, optimised pattern designs, advanced filter technology, and the ability to retread and regroove. How are Continental’s premium tyres constructed? When it comes to how a premium tyre is manufactured, the constructional materials, chemical composition, elastomeric properties and inflation pressure all have a bearing on cost efficiency and improvements to rolling resistance. Factors such as the volume of rubber mass, and the volume and depth of tread equally play an important role in finely tuning the performance of the tyre. Enhancements in belt configuration and angles can add more reinforcement in the shoulder to help stabilise and adjust it accordingly. In order to optimise pressure distribution across the tyre, the footprint area must be cleverly designed. If pressure isn’t distributed properly, it will lead to high load concentration and cause irregular wear, eventually ruining the tyre. Pattern design is fundamental in improving rolling resistance. Groove width, in particular, has seen a lot of change in recent times – tyres designed 10 years ago were extremely open, whereas the voids have been largely reduced now. This is especially necessary for raised high-performance vehicles with sophisticated suspension and drive trains. To provide optimal performance, the tyre design is adjusted based on the specific application and the environment in which the fleet operates. 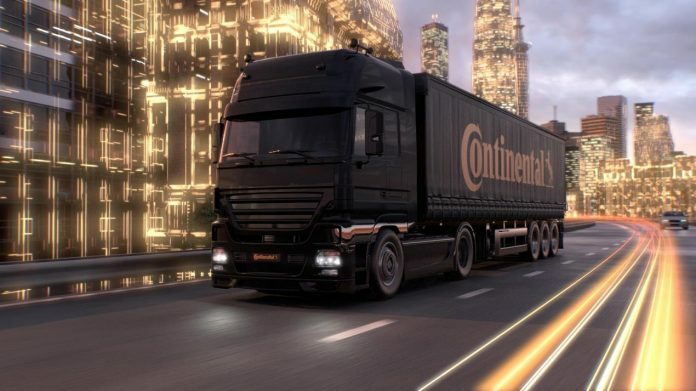 To this end, Continental always meet with the customer and conduct feasibility studies, to determine exactly how the design needs to be adjusted and the suitability of the tyre in various scenarios. Another benefit of premium tyres over budget alternatives is that they are carefully designed and constructed to allow for regrooving and retreading. Once a budget tyre is worn out, it has to be entirely scrapped. Premium tyres, on the other hand, can be given another life. Retreading and regrooving are far more economical options than buying a brand-new tyre and fleet operators will see a significant reduction in their tyre costs. In addition, the process also creates a lower profile thickness, helping to reduce rolling resistance and, with it, fuel consumption. How do the rubber and filler materials used help? Continental uses the very best in filler technology. Our tyres are made using a combination of silica and Carbon Black fillers, which act to reinforce the rubber, and help to improve wear capabilities. Carbon Black helps increase the tensile strength of the rubber compound in the tyre side-wall and tread. If you stretch rubber without it, it will break very easily, yet by adding Carbon Black you change the whole molecular structure of the rubber, providing greater flexibility and ultimately allowing tyres to react more effectively to the road surface. Silica is a reinforcing material within the tyre rubber, which has complex wear behaviours. By controlling the molecular structure of the material, we found that we could provide greater stability and resistance to wear. This involved widening the tyre pattern design, reducing the void ratio in the pattern and altering belt construction. Using compound filler technologies such as silica alongside Carbon Black not only helps reinforce the rubber, but also works to bridge conflict areas of wet grip and rolling resistance. How has filler technology changed in recent years and how has this helped achieve Lowest Overall Driving Cost – LODC? Filler technology has seen vast improvements over the past 15 years. In the early 2000s, silica was adopted as a new technical innovation, but it was only used in a crude form. Nowadays, with the introduction of high-dispersible (HD) silica and nano-technology, molecules can be better dispersed to achieve new levels of rolling resistance. By adding silanes to the rubber compound, we can prevent ‘clumping’ for better silica dispersal. Clumping leads to heat build-up which, in turn, negatively impacts fleet running costs. The current use of nano-technology in tyre production uses tailor-made silica compounds designed for special application. They offer improvements to the way in which the tyre wears, create better rolling resistance and work when wet braking. The technology is particularly important in performance areas, and it’s here that the advantages over budget tyres really begin to show. As technology develops, we are turning our eye towards ever smaller percentage improvements. Rubber compounds used in tyres are adapted to suit customer’s exact needs, to smaller and smaller margins.